It's a new month for Talk Amongst Yourselves, which brings us new art. 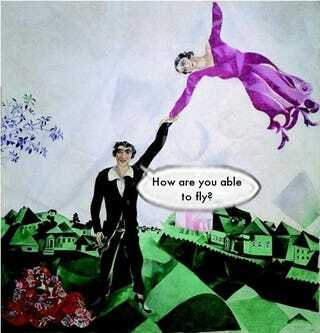 Here's Der Spaziergang by Marc Chagall, as recommended by reader Diesel. I see top TAY potential. Go ahead and comment here about video games, will you?